Corpus Christi Garage Door Repair services Petronila, TX and the surrounding communities for all their garage door repair and installation needs for both residential and commercial customers. After years in the business, we know that sometimes our garage doors and garage door openers can sometimes get the best of us. You’re running late for work, so you’re a little pressed for time. And now your garage door won’t work. First of all, don’t panic—then, call our team and we can help you quickly diagnose the problem. First, double check to see that there is not a power outage in your area. In this case, you only have one choice: disable your garage door opener by pulling the red emergency cord and operate the door manually. If there’s a latch installed on the side of the door, you can use it to secure the door. Make sure to shut off the power to your garage door opener so no one can use it. If someone tries to open the garage door with the latch set, this could seriously damage both the door and the door opener. Keep in mind that certain models of garage door openers are equipped with an emergency battery. If you find that your garage door won’t close, the most common cause is a misalignment of the photoelectric safety system. All you need to do is realign the skewed sensor unit with the other unit. Check the wall-mounted control panel to see if there’s a blinking light. The blinking will stop once the two parts are correctly aligned. If the issue seems to be with the remote and not with the garage door, there may be other explanations. One, the battery in your remote may be dead. Try replacing it. You can also use your external key pad, which works like a remote. Two, in your rush, you didn’t hold the button down long enough. Count at least two seconds (one Mississippi, two Mississippi…) to make sure that the receiver antenna gets the signal. Or three, maybe there’s interference with the signal. Make sure that the garage door opener antenna (a small wire about 6” long) is sticking out far enough from the motor housing. 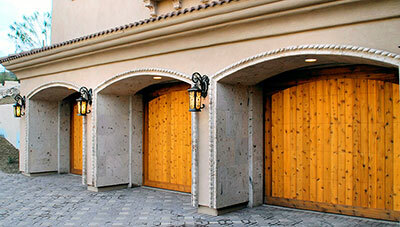 If the problem persists, contact a garage door professional. It may be necessary to extend the receiver antenna outside of the garage. If you notice that your garage door won’t open or close all the way, all you have to do is adjust the ascent and descent limits using a screwdriver. The buttons for making these adjustments are often located on the side of the motor. Follow the manufacturer’s instructions in the maintenance manual, which you can find on the Internet if your garage door opener was made during the past 10 years. Finally, if you notice that your garage door is making a horrible noise, then the problem may not be with the garage door opener. 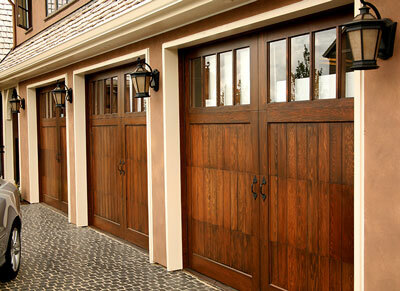 Open and close your garage door and observe carefully to determine where the sound is coming from. Is there a broken spring, are the tracks out of alignment, or is the door opener chain or belt loose? Don’t worry, you don’t have to answer these questions on your own. Give us a call, and we’ll send over one of our trained technicians.